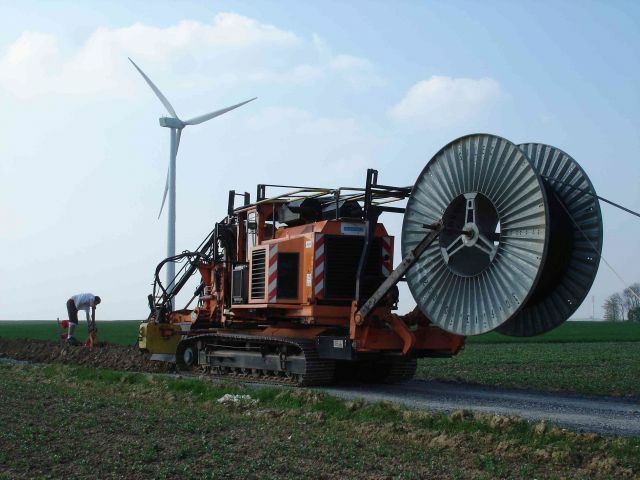 Building a wind or solar farm requires highly specific civil work and cable laying skills. Thanks to our experience in the mecanical laying of power cables and in civil works project management, Marais, together with Nexans, offers today its contracting and engineering services to help the EPC reduce the project cost while speeding up its delivery. In order to achieve this goal, Marais, together with mother company Tesmec, offers a wide range of equipment dedicated to optimize the whole process. All these equipement can either sold, rented or provided as part of a turnkey project in most countries around the world. Click here to learn who your local representative is.